Charlie Grace at The Roots Music Festival. Roots music, which is frequently referred to as Americana, is a very diverse category of music that includes modern folk, jug bands, Appalachian folk, blues, bluegrass, Cajun music, country, gospel, old time music, Native American music. If you’re a fan of roots music then you should plan on visiting Media on April 14 to enjoy the 16th Annual Americana Roots Ramble (various venues in downtown Media, 610-566-5039, www.statestreetblues.com). Activity at this year’s Americana Roots Ramble will get underway at 6 p.m. This year’s Americana Roots Ramble, which features a wide array of traditional music indigenous to North America, will take place on more than 20 stages at indoor venues in downtown Media. 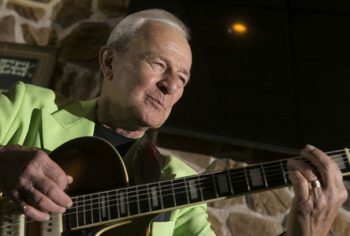 The showcase attractions will be concerts by Leroy Hawkes & the Hipnotics at Sher-E-Punjab at 10:15 p.m., Kenn Kweder at Sher-E-Punjab at 8 p.m. and by legendary rocker Charlie Gracie at 10 p.m. at Azie. Gracie, who was born and raised in South Philadelphia, had a huge hit with his song “Butterfly.” The song reached Number 5 on the Billboard Hot 100 chart in 1957 and has sold more than three million copies. This year’s schedule also features Danie Ocean at House, Andrea Carlson at Lotus, Lost Northern Tribe at Baker Street Tattoo, Trickster Sister at Desert Rose, Craig Bickhardt at 7 Stones Cafe, Mr. Fuzzy & The Barbarian at Franklin Mint FCU Coffee Beanery, Reggae Thunder at Joclyn’s, Michael Davis at Diego’s, Melton Brothers featuring John Lilley & Fred Berman at Stephen’s on State, and David Falcone at La Belle Epoque. This year’s line-up also features Ben Tinsley & Dimtri Papdopoulos at Double-Decker Pizza, Charlie Phillips at Temaki, Mason Porter at Ariano, Aaron Nathans & Michael G. Ronstadt at Margaret Kuo’s, Rockafillys at Spasso, The Ultimates at John’s Bar & Grille, Brian Kors at 320 Market Café, Skip Denenberg at Brick & Brew, The Wallace Brothers Band at Sterling Pig Brewery, Dustin Beck at Pairings Cigar Bar, and Emily Drinker at Table 11. Longwood Gardens (Route 1, Kennett Square, 610-388-1000, www.longwoodgardens.org) has “Spring Blooms” running through June 3. 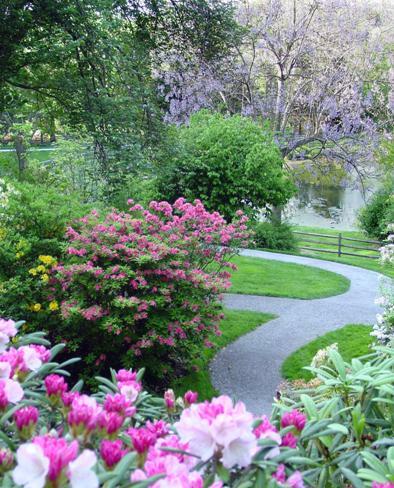 Visitors can enjoy hundreds of lush acres featuring burgeoning gardens of daffodils, tulips, magnolias, azaleas, flowering cherries and more than 240,000 flowering bulbs. The featured blooms this week are the annual harbingers of spring — daffodils. In the indoor part of “Spring Blooms”, lilies, delphiniums, hydrangeas and other spring blossoms fill the conservatory with color. Also featured are Longwood’s grand treehouses, whimsical Topiary Garden, and colorful Idea Garden. Daily visitor programs, including gardening demonstrations, behind-the-scenes tours, and talks add to Longwood’s charms. Children will enjoy the many activities in the outdoor Children’s Area, and the imaginative fun of the Indoor Children’s Garden. Admission to Longwood Gardens is $20 for adults, $17 for seniors and $10 for students. On April 14, Winterthur will present “Daffodil Day & Follies” from 10 a.m.-4 p.m. 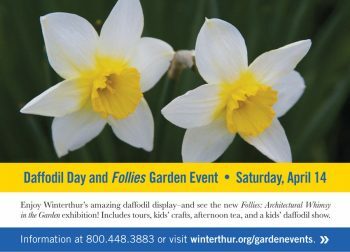 Visitors will be able to celebrate the beauty of the daffodil, enjoy Winterthur’s amazing daffodil display, and see the new Follies garden exhibition. Henry Francis du Pont, who established the estate many years ago, used his collector’s eye in assembling his collection of hundreds of heirloom daffodil bulbs arranged in cloud-like drifts on Sycamore Hill. 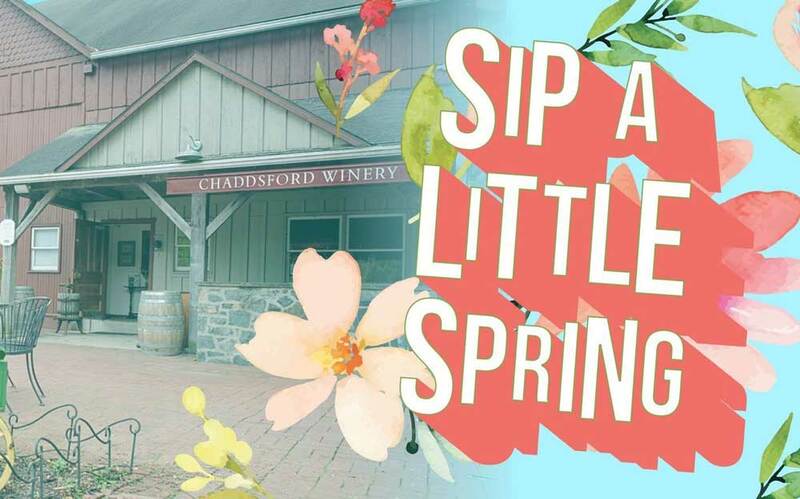 The event’s schedule features tours, kids’ crafts, tea, and a daffodil show. The “Children’s Daffodil Show” will be held at 10 a.m. in the Visitor Center Restaurant along with “Daffodil Day Craft” from 10 a.m.-2 p.m. The “Guided Follies Tour,” which runs from 11 a.m.-12:45 p.m., begins at Brown Center and ends at the Museum. The “Guided Daffodil Tours,” begin and end at the Visitor Center Patio, will be held from 1-2 p.m. and 3-4 p.m. Self-guided tours can be enjoyed all day. Another popular attraction is the “Daffodil Tea.” There will be two sessions – 3 and 3:30 p.m. – in the Visitor Center Restaurant. Admission to Winterthur is $20 for adults, $18 for seniors (age 62 and older) and students (12 and older), and $6 for children (ages 2-11). The Annual Delaware Valley Regional Daffodil Show, approved by The American Daffodil Society, will be held in the Sweetman Lecture Room in the John J. Willaman Education Center. For gardening fans who love daffodils, this is an opportunity to see many cultivars available in the marketplace. 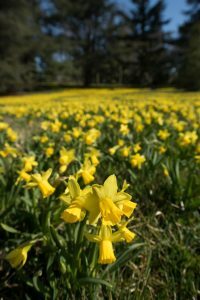 Visitors will be able to learn more about the 13 different daffodil divisions as well as daffodil culture, resistance to pests in the garden, and naturalizing. The show will also feature a daffodil-centric educational exhibit. Show hours are 1:30 p.m.-4 p.m. and admission is free. 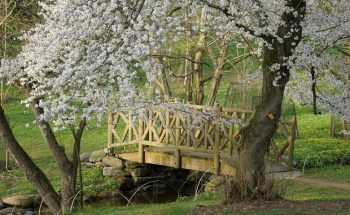 The Morris Arboretum (100 East Northwestern Avenue, Philadelphia, 215-247-5777, http://www.business-services.upenn.edu/arboretum/index.shtml) is presenting its Japanese Cherry Blossom Festival on April 14. The history of the Morris Arboretum is rich with Japanese influences. In addition to the colorful blossoms, the event will feature traditional Japanese cultural activities. The Arboretum’s vast cherry collection includes trees with varying bloom times, and their season can last up to three weeks. This should ensure that Arboretum visitors will enjoy flowering cherries during the festival. 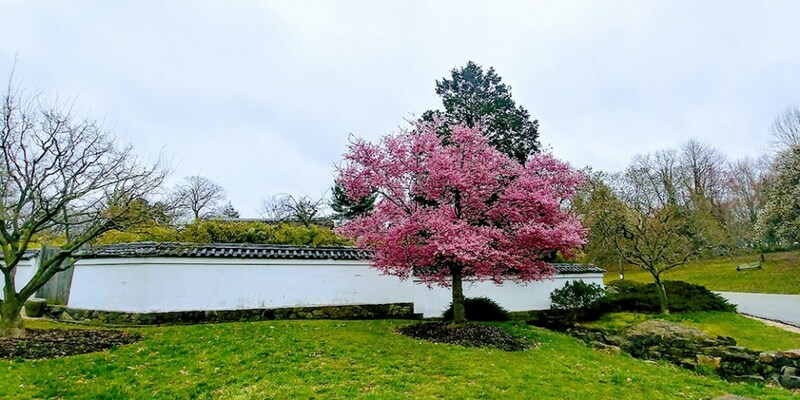 The daily schedule this weekend at Morris Arboretum includes “Cherry Walk” (10:15 a.m. and 12:15 p.m. – participants meet at the Garden Railway), KyoDaiko Drumming Crew (10:30 a.m. and noon – Haha Wall), Samurai Arts Group (11:30 a.m. and 1:30 p.m. – Two Lines Sculpture), Kimono Dressing Celebration (11 a.m. – Widener Building), Traditional Japanese Tea Demonstration (1 p.m. — Oak Allée Plaza), Origami Workshops (1 and 2 p.m., Widener Building, and Japanese Elements Tour (2-3 p.m. – participants meet at the Garden Railway). Admission to Morris Arboretum is $19 for adults, $17 for seniors (65 and older), and $10 for students, youth (ages 3-17) and military (active and retired). Another event focusing on the lovely trees showing off their pink blossoms is the Subaru Cherry Blossom Festival (http://subarucherryblossom.org), which is known in Japanese as Sakura Matsuri. The event is running now through April 15 at a variety of locations around the Philadelphia area. For many generations, Japan has been celebrating the beauty of the elegant pink cherry blossom with picnics under the trees and traditional music and dance performances. The Subaru Cherry Blossom Festival offers visitors the opportunity to explore the best of Japanese culture including delicious cuisine, delicate craft displays, intriguing performances and demonstrations of traditional customs. Sakura Week at Shofuso will conclude on April 13 at Shofuso (Horticultural and Lansdowne Drives, Philadelphia). The schedule for April 13 focuses on Manga Pins & Kyo Daiko Performances. Sakura Week events free with regular admission to Shofuso: $12 general admission, $8 students with ID, seniors, youth 6-17. The annual festival’s showcase event is Sakura Sunday, a day-long outdoor celebration of all things Japanese. 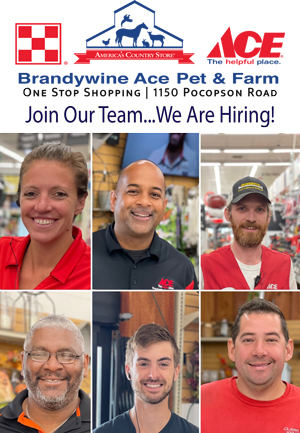 It will be held on April 15 from 9:30 a.m.-5 p.m. at Fairmount Park’s Horticulture Center (100 North Horticulture Drive, Philadelphia). Tickets are $15 for adults with children (12 and under) admitted free. On April 14, the Brandywine River Museum of Art (1 Hoffmans Mill Road, Chadds Ford, www.brandywine.org, 610-388-8326) will host a Wildflower Walk at the Laurels Preserve from 8-10 a.m. 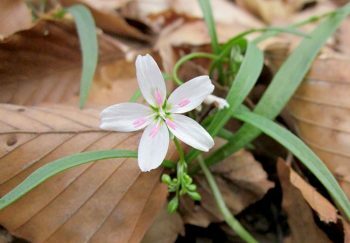 Participants will join Laurels Preserve Manager, Grant Folin, on a hike throughout the preserve to search for early spring ephemerals. From 11 a.m.-1 p.m., members of the Philadelphia Water Color Society will demonstrate watercolor media and techniques. One of the featured painters will be nationally-renowned landscape painter Deena S. Ball. Known for her innovative use of watercolors, Ball is president of and a signature member of the Philadelphia Watercolor Society, and a signature member of The Pennsylvania and Baltimore Watercolor Societies. Visitors to the museum can also get an all-day access to Kuerner Farm, a National Historic Landmark, where Andrew Wyeth found intriguing subjects for hundreds of tempera paintings, watercolors and drawings for more than 70 years. Artists working in all media are invited to explore the property where they can sketch, paint or photograph and may gain insight into Wyeth’s creative process on an optional guided tour. Admission to the Brandywine River Museum is $18 for adults, $15 for seniors (65+), $6 for students with ID and children ages 6-18 and free for children (age five and under). This is a brand-new program featuring out-of-the-box pairings with the trendiest food — donuts and pizza. The winery’s partners for the event are Duck Donuts and Pizzeria Pronto. A $20 pass will grant participants access to four flavorful pairings – two donut and wine and two pizza and wine. The sweet, salty, and tasty tours will be held each day from noon-5 p.m. Additional sugar and slice options will be available for purchase a la carte. Live music will be performed each day from 12:30-4:30 p.m. The live music schedule is: April 14, Sam Capolongo; April 15, Acoustic Keys; April 21, MK & COL; and April 22, Christine Kinslow. 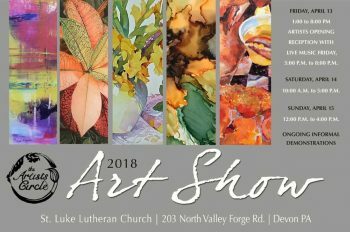 This weekend, more than 25 artists from around the Mid-Atlantic region, will participate in the Artists Circle’s “Annual Art Show and Sale” at Saint Luke Lutheran Church (203 North Valley Forge Road, Devon, 610-688-0122, www.theartistscircle.net). The event opens at 1 p.m. on April 13 and runs through 4 p.m. on April 15. 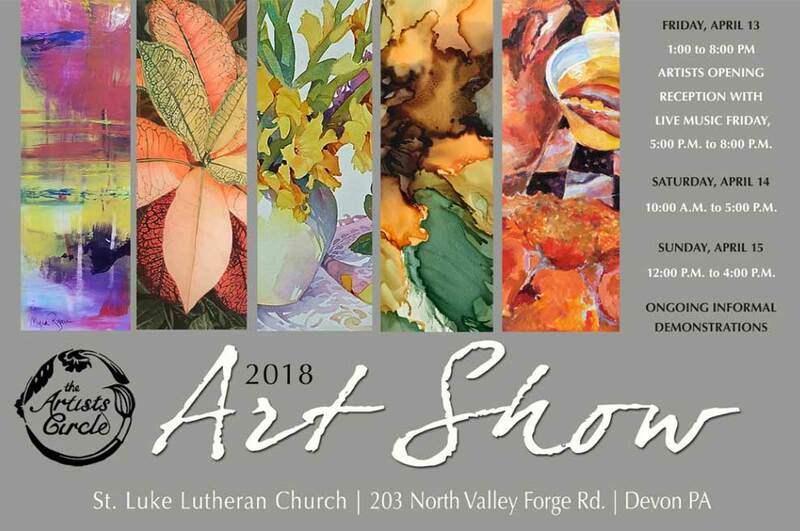 The Artists Circle, which is one of the largest professional artist collectives in the Delaware Valley, will hold a special “Meet-the-Artists” reception on April 13 from 5-8 p.m. The popular annual show, which is free and open to the public, will showcase hundreds of original works by members. The artwork will be displayed in the church’s Schlack Hall and will include ongoing demonstrations of painting styles and media. Hours are 1-8 p.m. on Friday, 10 a.m.-5 p.m. on Saturday and noon-4 p.m. on Sunau. Admission is free. 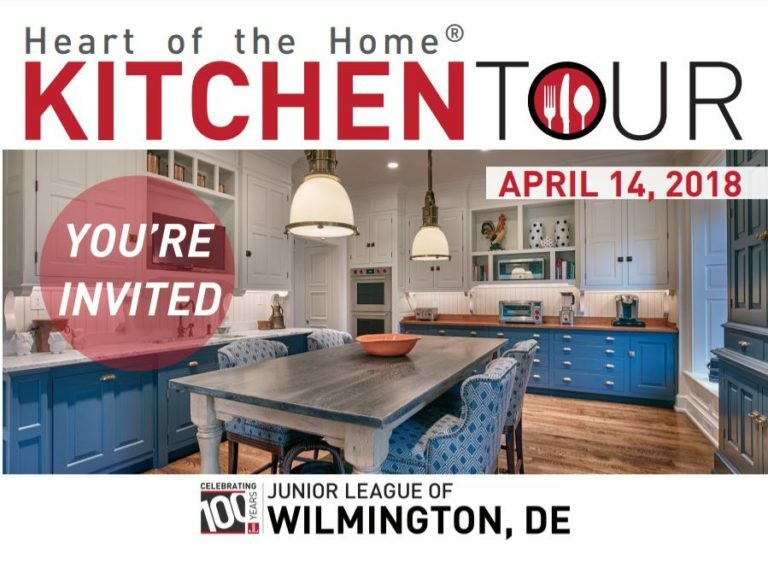 On April 14 at various locations around Southern Chester County and the area in Delaware just south of the state line, the Junior League will present its 12th Annual Heart of the Home Kitchen Tour. The self-guided tour, which is held every other year, features more than 12 homes in Kennett Square, Lancaster, and Wilmington. The popular event is held as a fundraiser for the Junior League’s projects. One of the main attractions is the culinary aspect. 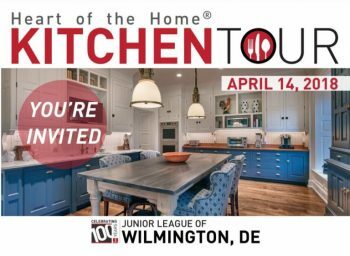 The Heart of the Home kitchen tour pairs tastings with the viewings with area chefs, restaurants and food companies offering tasty treats at the various homes. One pair of booties and one program (containing a detailed map) will be provided at the first home visited. Tour attendees are required to wear the booties upon entering the homes, removing them prior to leaving, and taking the booties with them to the next home. The tour runs from 9:30 a.m.-4:30 p.m. Tickets are priced at $30 before the tour and $35 on the day of the event. The house list will be released on April 13 at www.heartofthehometour.com. The Haverford Home & Garden Show will feature more than 75 vendors — inside and outside the center. Special attractions at the show will be tours of the Minimus Tiny House, Make & Take Workshops, a Furniture Flip Contest, a plant sale and a variety of guest speakers. A snack bar with hot and cold drinks, snacks and desserts will be open all day in the lobby. Food trucks and booths will be located in the parking lot. A wide array of prizes will be raffled off and announced throughout the day. Some of the prizes will be Weber grills, recessed lighting installed in your home, gift baskets and gift certificates to local businesses. The Haverford Home & Garden Show is a project of Haverford Partnership for Economic Development (HPED), a 501c3 non-profit organization. The show will support the local economy as well as raise funds for the work of HPED. The show will run from 10 a.m.-6 p.m. Admission is $5 per person with children under 12 admitted free. 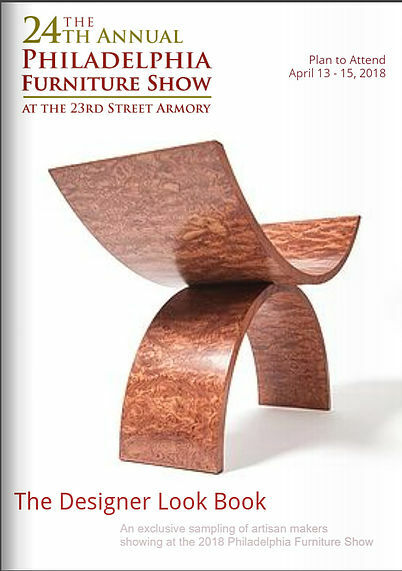 The Philadelphia Invitational Furniture Show at the 23rd Street Armory (22 S. 23rd Street, Philadelphia, 215-387-8590, www.philaifs.com) continues to grow in popularity from year to year. This weekend, the event is celebrating its 24th anniversary and solidifying its claim as the longest running craft furniture show in the country. The popular annual event, which is running from April 13-15, is a nationally-acclaimed exhibition of studio-made products for the home and office. Most of the 200-plus juried professionals, who have traveled to the show from a variety of locations across the United States, are furniture makers. Additionally, many of the exhibitors are also showing home furnishings such as handmade paper lighting, modernist patterned rugs, sleek silverware, glass and ceramic vases and intricately inlaid boxes. In recent years, high quality furniture has become a desirable collectible investment. Visitors to this weekend’s event will be able to purchase limited-production and one-of-a-kind items for the bedroom, garden, home office, boardroom and kitchen. The only activity on April 13 will be the “Preview Party,” which runs from 6-9 p.m. and costs $45. Regular show hours are 10 a.m.-6 p.m. on April 14 and 10 a.m.-5 p.m. on April 15. Tickets are $15. On April 15, an event to celebrate the arrival of a new season will be held at Evans-Mumbower Mill (Swedesford Road and Township Line Road, North Wales, 215-646-8866, www.wvwa.org/evansmill). The “Open House” will run from 1-4 p.m. and feature guided tours of the mill. Visitors will be able to feel the excitement of rumbling stones, hear the splash of water over the wheel, and witness the cornmeal as it spills down a chute and into a barrel below. There will also be presentations to celebrate Earth Day (which is still a week away). The Evans-Mumbower Mill, which is Montgomery County’s only water-powered mill, is located along the Wissahickon Creek at the junction of Township Line and Swedesford roads in Upper Gwynedd Township. Constructed in 1744, it is currently listed on the National Register of Historic Places. Public open houses are held once a month and allow visitors to go on guided tours to see the mill in operation and learn about the history of milling on the Wissahickon Creek. The Mill is owned and operated by the Wissahickon Valley Watershed Association (WVWA), a conservation nonprofit organization. Admission to the Mill’s “Open House” is free. If you’re looking for something completely different to do, consider an evening of watching roller derby competition. On April 15, the Reading Derby Girls are hosting the Lehigh Valley Blast Furnace Betties at Skateaway Shillington (2275 Lancaster Pike, Shillington, 610-777-4000, http://www.readingderbygirls.com). The action gets underway at 7 p.m. with the squad from Berks County playing the team from Allentown in conference match in the Flat Track Roller Derby League – a league that features teams such as the Gotham Grand Central Terminators, the Garden State Brick City Bruisers, the DC National Maulers, and the Black Rose Rotten Cherries. General admission is $10 with children under 10 admitted free. Spectators have the option of standing or bringing their own chairs for track-side seating. Other attractions are halftime entertainment by Reese Sweigart, the Reading Derby Girls Beer Garden with Stoudts Brewing Company, and the RDG Gift Shop.